The UPSC Interview round is a test of personality, rather than of knowledge, says Israel Jebasingh, of Officers IAS Academy. 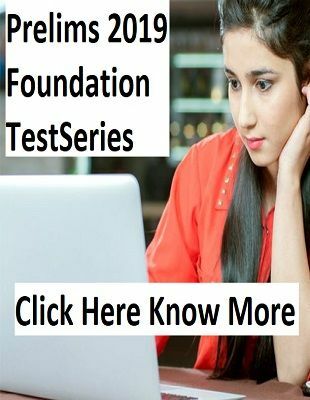 Civil Services aspirants who have successfully cleared the first two stages of the UPSC Civil Services Examination (CSE) — Prelims and Mains — in 2017, are eagerly waiting to clear the third and most important and challenging stage: the Personality Test, also known as the Interview round. 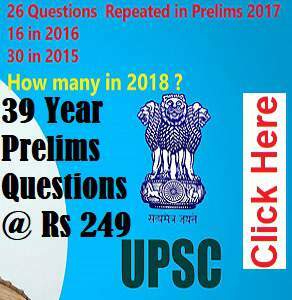 A UPSC Civil Services interview lasts for about 30 minutes. The purpose of the interview is to check whether the candidate is suitable for a career in the civil services. That is, whether the candidate has the potential to demonstrate good administrative skills. The interview carries 275 marks out of the total 2025. The candidate’s score in the Mains examination does not play any role in deciding the course of the interview, though the marks of both Mains and Personality Test are considered for ranking. Many students have a misconception that the CSE interview is a knowledge test. It is not a knowledge test but a personality test. There is no one definite right or wrong answer. The interview panel just observes how a candidate approaches a question. The panel doesn’t check the knowledge of the candidates. Rather, it assesses a few personality traits of the candidates. Another misconception is that the panel awards marks subjectively. Candidates who score low marks usually have a tendency to blame the interview board or luck. The members of the panel are highly objective. I strongly believe that it is the candidate who decides the marks based on his/her performance/personality traits. I was neither a school topper nor a college gold medallist, but I successfully cleared the CSE twice. The first time, I qualified for the Indian Railway Traffic Service (IRTS). The second time, I qualified for the Indian Administrative Service (IAS) with an All India Rank of 59. I strongly believe the reason for my success was due to the strategies I learnt from a few gurus who had already cleared the exam. Those strategies are not rocket science, but a simple approach for all stages of the examination. I strongly believe that successful strategies are always simple. Unfortunately, some candidates think it is too complicated and therefore lose out on success. The panel consists of the Chairman of the interview board and four other members. The Chairman of the board is always a UPSC member. The other four members of the panel are usually experts chosen from different fields by UPSC. The panel assesses whether the candidate has the personality traits essential for various Civil Services. I have heard that many candidates attend spoken English classes to get more marks in CSE interviews. But this is not an English proficiency test to recruit English teachers for various central universities. Rather, the panel is selecting candidates who possess the basic personality traits a civil servant is expected to have. The panel asks questions from the detailed application form of the candidates. The questions will be on the candidate’s place of birth, hobbies, issues of the home state, current national issues, and more. The members of the panel observe how the candidate responds to each question. There is no one definite answer for any question. 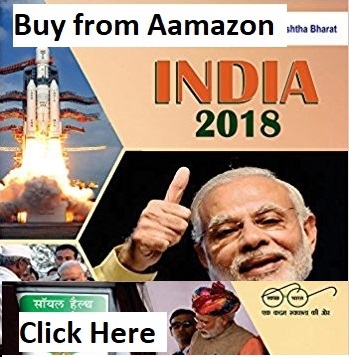 For example, if a question is related to the Cauvery water issue, a candidate from Tamil Nadu is expected to consider the problems faced by the farmers of Karnataka and a candidate from Karnataka is expected to consider the problems faced by the farmers of Tamil Nadu. The panel assesses whether the candidate answers like an Indian national or with a regional mindset. Candidates are selected for IAS, IFS, IPS, IRS, and more, where the ‘I’ stands for Indian. The panel checks whether a candidate has an Indian or regional attitude. The candidates should not spend their time memorising facts and figures. Rather, I suggest they spend time knowing the other side of any issue. They should take a balanced approach to every issue rather than a parochial approach. For example, a Punjabi candidate should read about the problems of Haryana farmers and the construction of Sutlej Yamuna Link Canal rather than learning the problems of Punjabi farmers alone. If candidates from Andhra Pradesh or Telengana are asked what is famous about Hyderabad, I suggest the candidates talk about the famous leaders from there like Swami Ramananda Tirtha or Makhdoom Mohiuddin who fought against the Nizam, and for the unification of Hyderabad State with our country rather than talking about biriyani. In my view, the interview panel assesses whether the candidates are politically neutral, honest and patriotic. A successful candidate is broad-minded, sensitive to the needs of others and has concern towards weaker sections of the society. Be confident. Be honest. Be polite. Smile. Most importantly, answer every question like an Indian. Use the phrases ‘our country’ or ‘our nation’ in your answers. Remember, the interview panel checks whether you have a national outlook or a regional mindset.